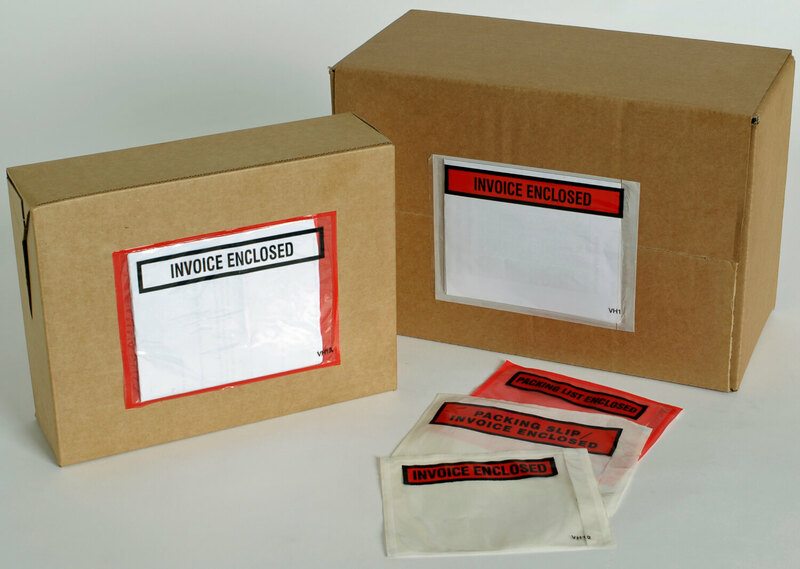 Invoice enclosed, packing slip enclosed and other poly envelopes for dispatch and document management. Venus self-adhesive, polythene envelopes are made from low density polythene (LDPE) with peel-off backing. Documentation is easily visible in the window face or full face, plain or printed envelopes. Sizes: 95mm (w) x 175mm (l) to 250mm w x 343mm (l).